 FRINGE REPAIR OR REPLACEMENT Lisa Wagner, a highly respected area rug cleaner in San Diego, CA. said ”cleaning fringe is like cleaning shoelaces on tennis shoes, it’s very difficult.” If the fringe on your area rug is just in bad shape we can fix that by putting new fringe on your rug or even replacing just a few pieces to balance out the ends. SIDE CORDS Has your beloved pet or vacuum cleaner chewed on the side of the rug and torn the ends off? 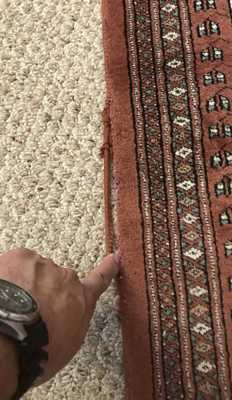 Reno Oriental Rug Wash can reattach or even rebuild new side cords for your area rug. If the rug needs to be shortened to fit a new room in the home, custom built side cords will make the rug secure so that it will not unravel along the edges. RUG WITH RIPPLES When you look at your rug do you get sea sick from all the waves in it? Area rugs can be blocked to remove the ripples in the center and sides so the rug can lay flat. 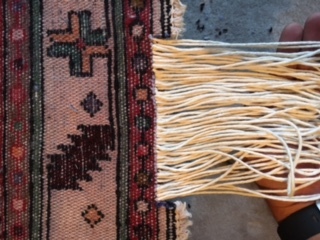 UNRAVELING ENDS WITH SHORT FRINGE In this process we will balance out the Kilim / (flat weave) and then re-secure all the ends. 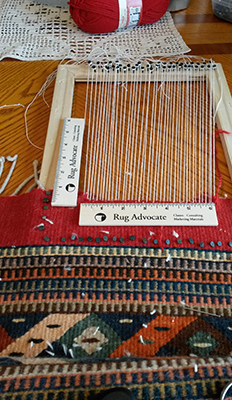 In balancing the Kilim we may have to do a small re-weave. Then we will re-tie the fringe with an attractive end finish. POWDER COMING FROM YOUR HAND TUFTED RUG This is a manufacture defect as the latex holding the back of the rug together has begun to breakdown. This can be fixed and the dust from the rug removed. After the repair you will notice that your area rug will have much more structure to the body and feel of the rug. COLOR BLEEDING This is handled on a rug by rug basis. In some case extreme methods are employed to correct colors being in the wrong places. 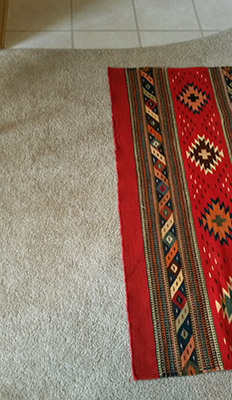 ODOR CONTROL IN AREA RUGS These are also handled on a rug by rug basis. In some cases color bleeding and odor control need to be done simultaneously. 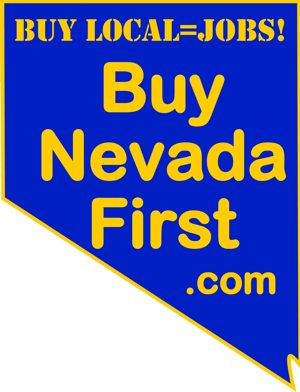 “Reno Oriental Rug Wash” (775) 813-6991. 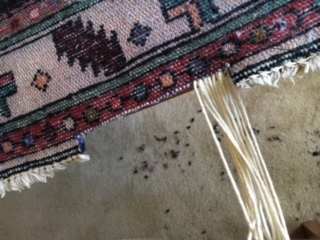 We first inspect rugs for structural integrity, then repair accordingly. 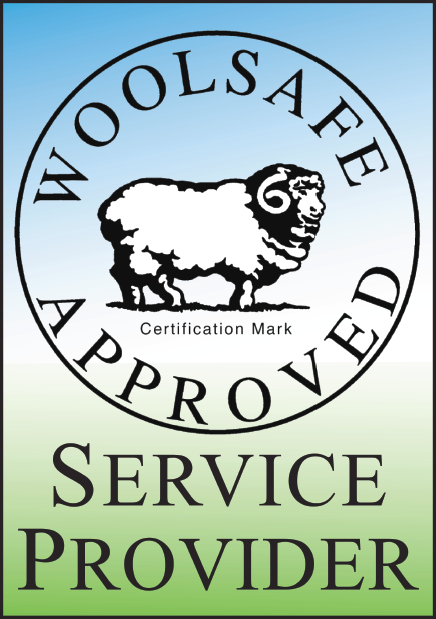 We do all the repairs needed in house. Nothing is shipped out! 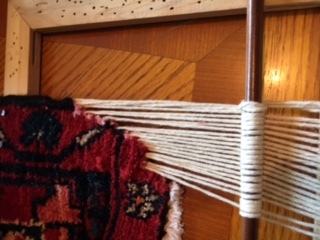 We fix the ends/ fringe, side cords, and even reweave holes in the rug.